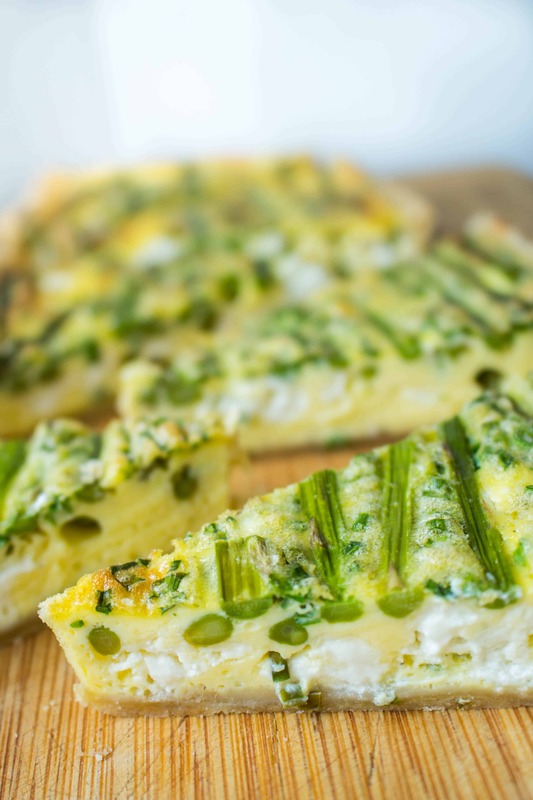 This Asparagus + Goat Cheese Quiche is the most delicious thing you could serve at a springtime brunch! Simple ingredients, lovely flavors, beautiful presentation! I just returned from a whirlwind weekend exploring the culinary wonders of the Finger Lakes. 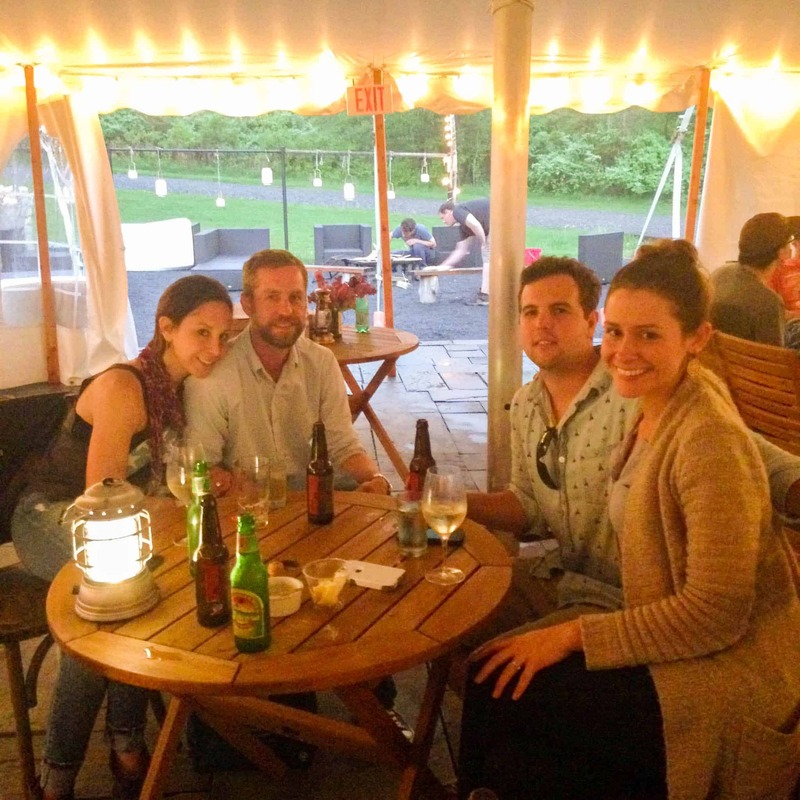 Chaser, myself and two of our good friends took a quick road trip to Ithaca, NY to go “glamping” at Firelight Camps, a hotel owned by our friends (and my former FNS castmate!) Emma + Bobby Frisch. 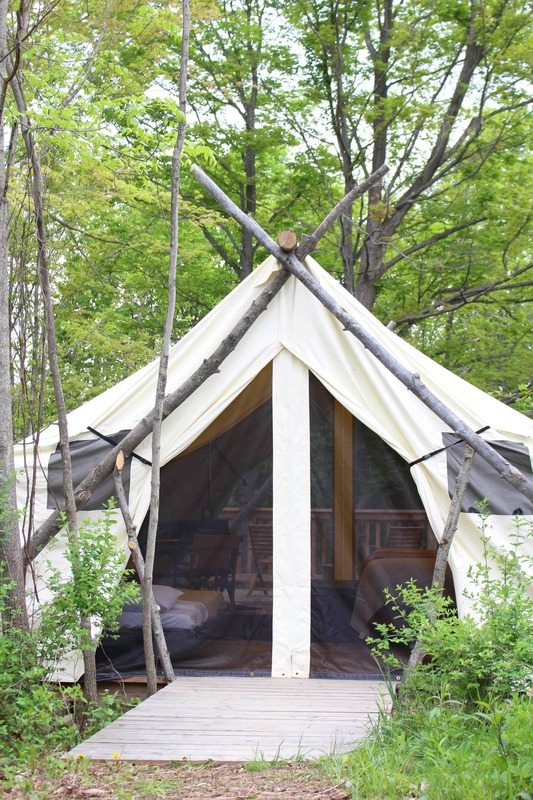 If you’re not familiar with the term “glamping,” it simply means glamorous camping, and oh how glamorous it was! We were immersed in the wilderness, but rather than having to pitch our own tents and forgoing showering, we stayed in beautifully furnished canvas tents with access to top-notch amenities, a roaring fire pit, and Emma’s incredible homemade s’mores! This is my kind of camping: all the good stuff without any of the work. 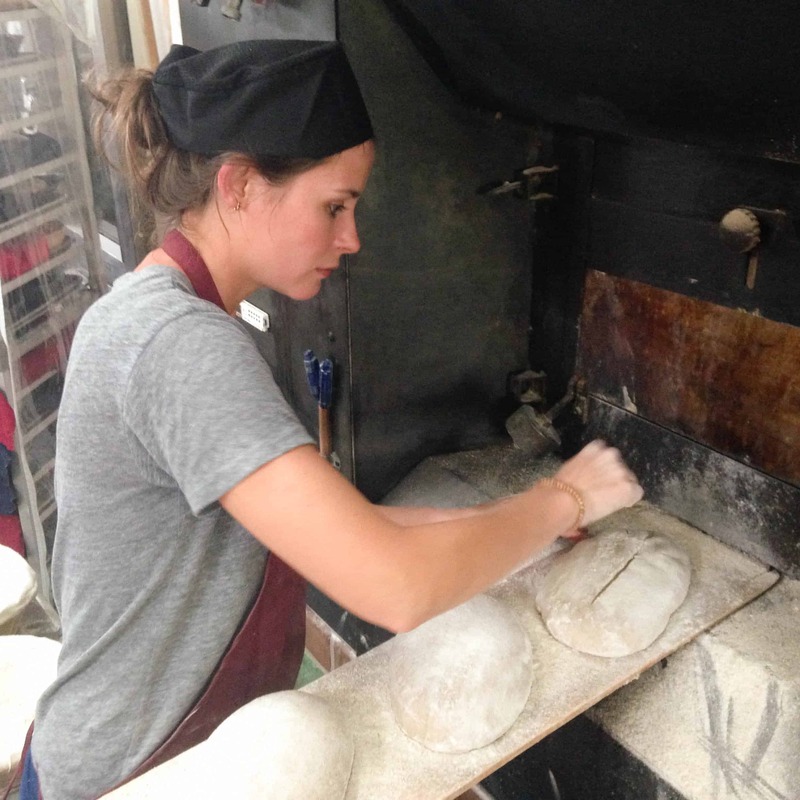 On Saturday I was fortunate enough to take an informative and inspiring bread baking class over at Wide Awake Bakery. 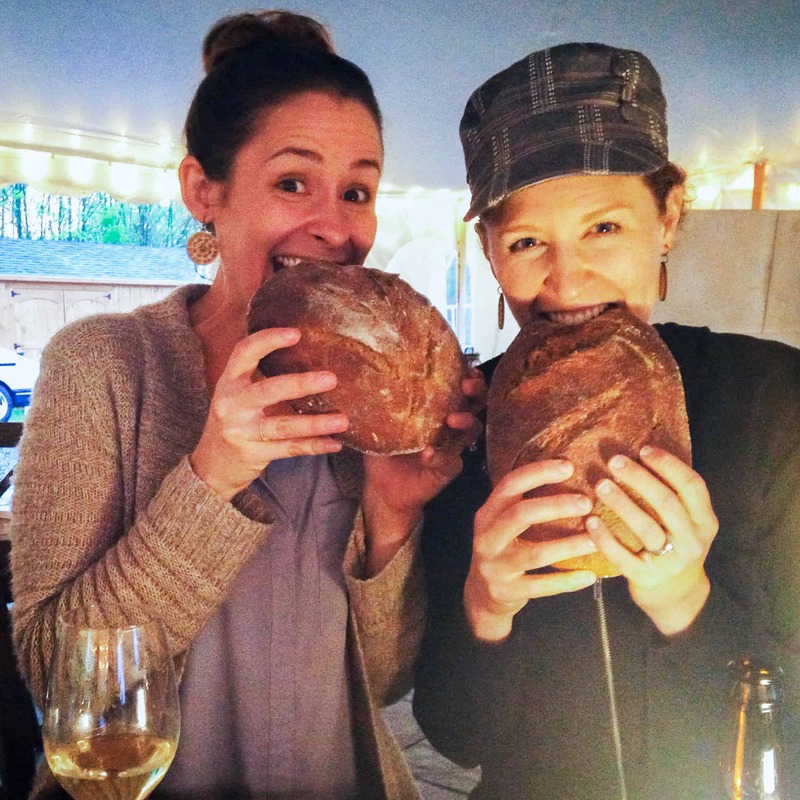 I learned the ins-and-outs of various types of flours and grains, natural fermentations, shaping techniques, scoring and baking. We also went hiking, ate at fantastic restaurants, visited breweries, wineries, and distilleries… which, full disclosure, I’m still recovering from. Ithaca is a really cool, unique little town, and I wish we we’re able to spend more than a weekend exploring everything it has to offer. We also took a tour through Ithaca’s incredible farmer’s market, which was overflowing with locally grown vegetables and homespun crafts. 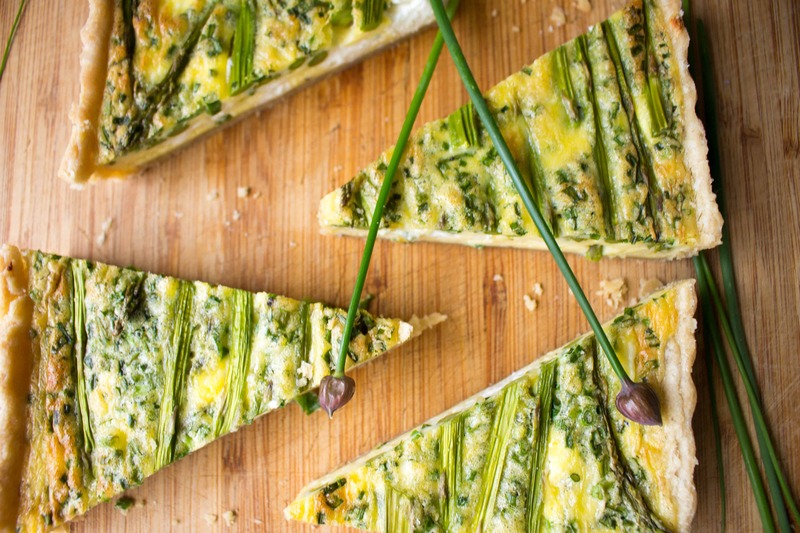 Beautiful bright green stalks of asparagus we’re around every corner, and became my inspiration to make this luscious Asparagus + Goat Cheese Quiche. 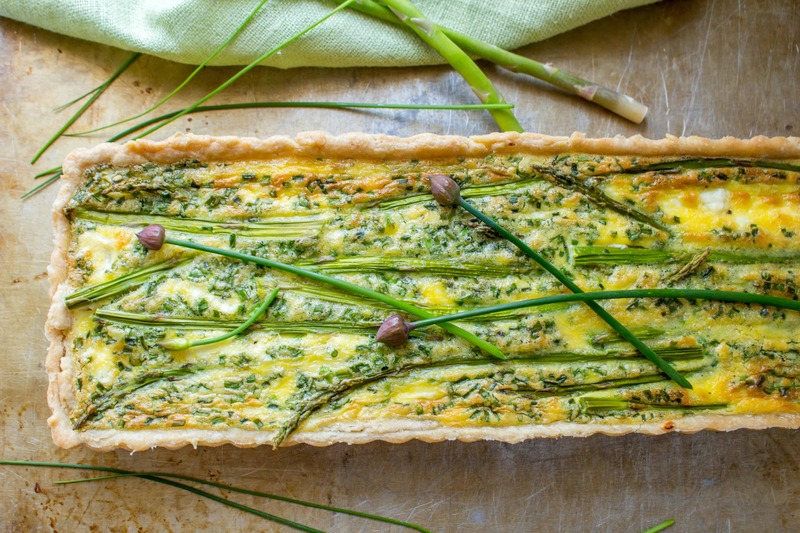 Eggs, asparagus, fresh chèvre and chives come together to make a tart that shouts SPRINGTIME from the rooftops. It’s a lovely way to embrace all this season has to offer. Perfect for breakfast, lunch or a light supper, this recipe has been a Springtime staple of mine for years. This has been a particularly beautiful spring around these parts, with lots of sunshine, mild temperatures and just enough rain to make the flowers nice and happy. Memorial Day Weekend – aka the unofficial start of summer – is right around the corner, but I’ll be here savoring the last little bits of Spring right up until the solstice. Combine the flour, and salt in a medium bowl, then use a pastry cutter to cut in the butter and shortening until the pieces become the size of peas. Add in 4 tablespoons of water and mix gently with a rubber spatula or wooden spoon until the dough just starts to come together. Add more water one tablespoon at a time if needed. The dough should not be sticky, and you should be able to see tiny pieces of butter and shortening flecked throughout. Do. Not. Over. Mix. Once the dough comes together, gently shape it into a disc, wrap and refrigerate for at last 30 minutes (or up to two days). Once the crust has chilled, remove the wrap and roll it out to fit your desired dish. I used a 14″x5″ tart pan, but a 9″ round pie dish will work wonderfully as well. Transfer the rolled out crust to the dish and press it in so it is flush with the pan on all sides. Use the rolling pin to glide across the top and remove any extra bits of dough. Place the entire prepared tart pan in the freezer while you prepare the filling. Whisk together the eggs, heavy cream, chives, salt and pepper until fully combined, but be mindful not to incorporate too much air. Cut or snap the woody stems of the asparagus off and discard. Preheat the oven to 350 degrees and remove the tart pan from the freezer. Pour the filling into the pan and lay the asparagus spears evenly down over top, and press down on them gently. Crumble the goat cheese over the top, being sure it’s evenly distributed throughout. Bake the tart for about 30 minutes or until the crust is lightly browned around the edges and the filling is set. Allow to cool at least 15 minutes before cutting. Serve warm or room temperature on it’s own or with a pile of lightly dressed greens. Leftovers can be stored in an air tight container in the refrigerator and eaten cold the next day. I find it tastes better than reheating. Oh… man!!! I LOVE goat cheese and I LOVE eggs! This will be going into my menu for our vacation trip in August. We rent a condo in OC, MD and I’m the other couple’s “personal chef” for the week (only breakfast and dinner… everybody’s on their own for lunch!). We’ve been going to OC and Assateague for the last 35 years with this couple so I’m always looking for ways to “WOW” them. 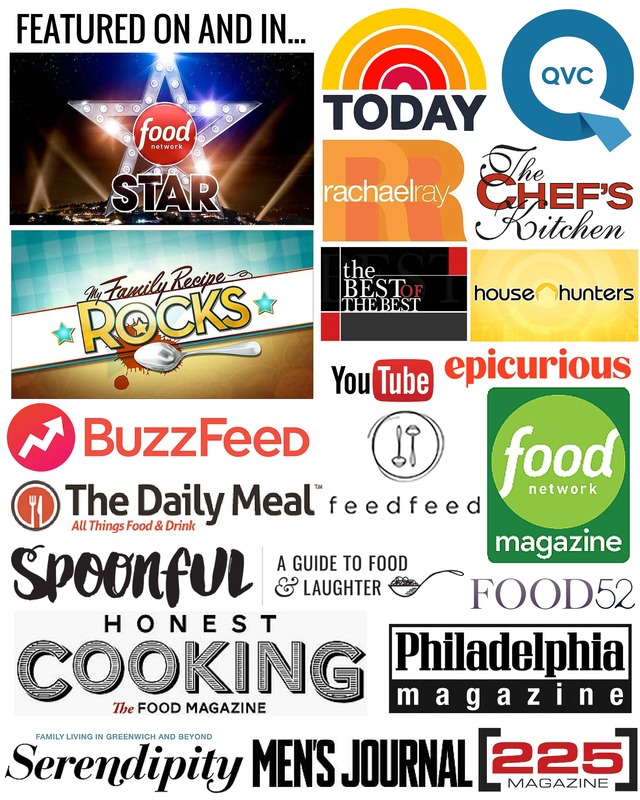 I think this will fit the bill nicely for a breakfast… not too complicated or too many ingredients to bring. Thanks, Coley! Any recipes for grilling on the beach? We always spend at least one day into evening in Assateague, and I’m the cook there, too! Sounds like you had a great weekend! I’d LOVE to check it out. I’ve never been up that far north in NY! 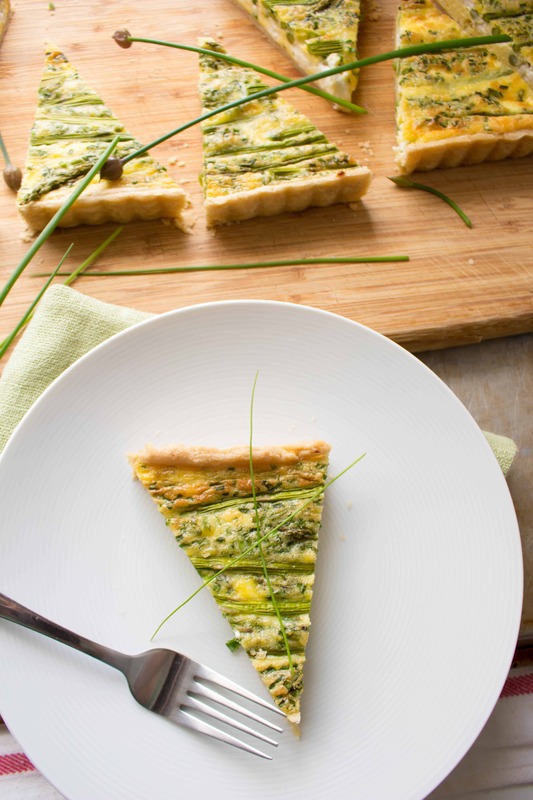 I’m pretty powerless before anything with goat cheese — this quiche is right up my alley! Now I’m inspired to go make one with all the yummy spring produce we have in Florida. So glad we got to hang out this week while I was home, hope to see you again soon!